A Darwin Bicentennial Exhibit, with many illustrations from the Darwin holdings of the Lilly Library. Max Eastman (1883–1969) was a prolific writer, radical, and public intellectual who helped shape the twentieth century. While researching this masterful work, acclaimed biographer Christoph Irmscher was granted unprecedented access to the Eastman family archive, allowing him to document little-known aspects of the charismatic radical. Considered one of the "hottest radicals" of his time, Eastman edited two of the most important modernist magazines, The Masses and The Liberator, and campaigned for women's suffrage and world peace. A fierce critic of Joseph Stalin, Eastman befriended and translated Leon Trotsky and remained unafraid to express unpopular views, drawing criticism from both conservatives and the Left. 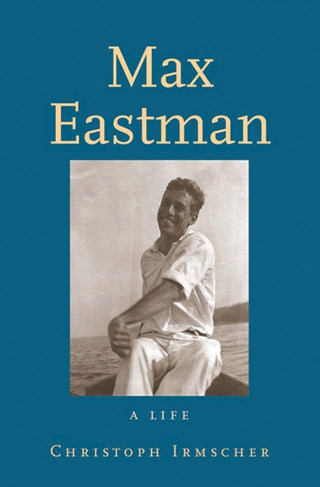 Set against the backdrop of several decades of political and ideological turmoil, and interweaving Eastman's singular life with stories of the fascinating people he knew and loved, this book will has broad interdisciplinary appeal. Read an excerpt and order from Yale University Press. Archie Henderson, an independent scholar and lawyer in Houston, Texas, is the author of Conservatism, the Right Wing, and the Far Right: A Guide to Archives, published by ibidem Press. His updated bibliography, the most complete listing available of the countless archives with Eastman material, appears here with his permission. Compiling and updating this bibliography has been a truly Herculean task. Eastman knew virtually everybody, and he wrote countless letters to those he knew as well as to the handful of people he didn't know. He was interested in everything, and he was a voracious reader. How he managed to do all that while traveling and writing and editing for a living (with the exception of a stint as John Dewey's teaching assistant at Columbia when he was still a graduate student, he never held a "proper" job), is anyone's guess. Questions for Dr. Henderson may be directed to me via the contact form on this site. 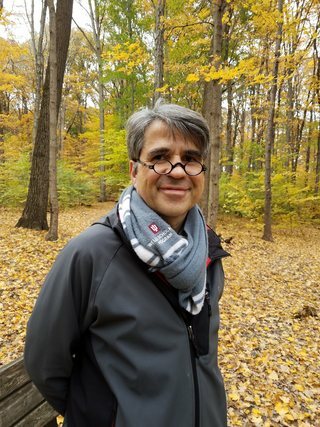 Christoph Irmscher lives in Bloomington, Indiana, with his wife, the composer Lauren Bernofsky, his children Nick and Julia, and his cats Milly, Katja, and Annie (the latter named after the famous Hoosier “orphant,” of course). Christoph teaches at Indiana University Bloomington, where he directs the Wells Scholars Program. He is represented by Andrew Stuart of the Stuart Agency in New York. Christoph's new project is a biography (or life in letters) of the actress Florence Deshon, co-written with Cooper Graham. Read Steve Donoghue's review of Christoph's biography for "The Vineyard Bookshelf"
"Charles Darwin, the Origin of the Specious?" "The Human Planet: A Perilous Past and a Fuzzy Future"
Panel discussion with Gail Collins and Brooke Kroeger: "When Modern Men Became Feminists"
Read Christoph's new essay on Max Eastman and Claude McKay for the Library of America's "News and Views." New York Times Podcast on "Louis Agassiz"